We recognized the advantage of a perch that could be attached anywhere in the cage. It¹s one of the intelligent ideas built into our Sand Perch. It¹s also designed to be wider at the base and more slender toward the tip. This keeps birds perched on the middle to the end, rather than near the cage. Another intelligent idea. The durable, natural sand feels comfortable to birds. Ideal for budgies and similar sized birds. 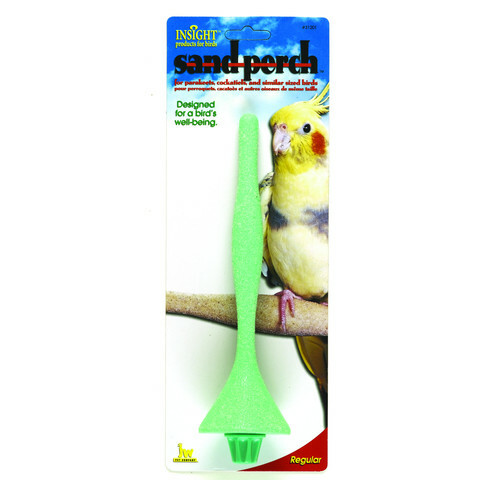 Natural Feel Excellent on the Birds Feet Nail Trimmer.